Stefan sends in a tip that Palm's European branch has dropped a cool 3 million Pounds (that's just over $4 million US) on UK marketing firm Haygarth. The firm will clearly be in charge of a very large European marketing push as Palm tries muscle their way into a market dominated by the likes of Nokia and Windows Mobile. Palm's PalmOS offering has gone over like a lead balloon across the pond for the past few years, so they're clearly hoping that they'll be able to win over some hearts and minds with the Pre and webOS. We've told you before that we're expecting Palm to push hard in the European market. We're figuring it will happen for a variety of reasons, not the least of which is Palm is expected to be making an announcement at Mobile World Congress next month (PreCentral.net will be there). 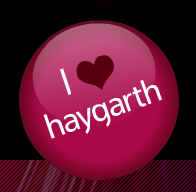 Haygarth is more than just an advertising firm, they offer a wide range of creative services from design to branding to arranging sports sponsorships. Given that Palm has traditionally shied away from standard marketing efforts (like televisoin) in favor of efforts that offer more bang for their buck (cf. the Centro Claus campaign), we can probably expect some interesting campaigns in the coming months. Thanks, Stefan! Have a tip for us? Hit us up on the tipline!